Soft Skull Press, 9781593766153, 304pp. After years of futon passion, Hemingway discussions, and three-mile runs, Jill Talbot's relationship with a man carved in her doubts so deep she wrote to ignore them. And even though he was as unwilling to commit to a place or a job as Talbot was to marrying him, he insisted that she keep the baby when a pregnancy surprised them during their fourth year together. As it turned out, Kenny wasn't able to commit to a child either, so when the court ordered visitation and support for their four-month-old daughter, he vanished. His disappearing act was the catalyst for Talbot's own, as she moved her daughter through nine states in as many years--running from the memory of their failed relationship and the hope of an impossible reunion, all the while raising a daughter on her own. Then, one day while packing boxes, she found a photograph that changed everything. 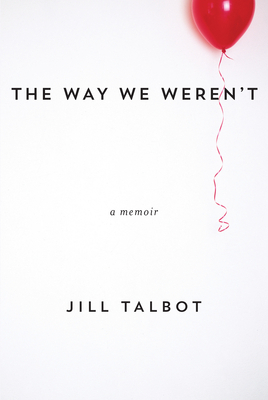 In this memoir-in-essays, Talbot attempts to set the record straight, even as she argues that our shared histories are merely competing stories we choose to tell ourselves. A bold look at the challenges of love and the struggles of a single mother in America today, The Way We Weren't tells a complex, unforgettable story of loss and leaving, and of how Talbot learned that writing can't bring anything back, but that because of it, nothing is ever really lost.